Welcome to BVPTrinity.com - The best place to search Trinity County & Shasta County Real Estate. Big Valley Properties has three real estate offices (Weaverville, CA - Hayfork, CA - Redding, CA), and we are ready to help you buy or sell real estate throughout Trinity & Shasta Counties. Please take a few minutes to search our site, and let us know if you have any questions or would like to preview any of the properties you are intersted in. Your complete satisfaction is our #1 goal because if you're satisfied, you will refer us to your friends. What we bring to the table is experience, integrity, real estate professionals, and numerous marketing methods all aimed at getting the job done right. Buying a Home in Trinity or Shasta County? 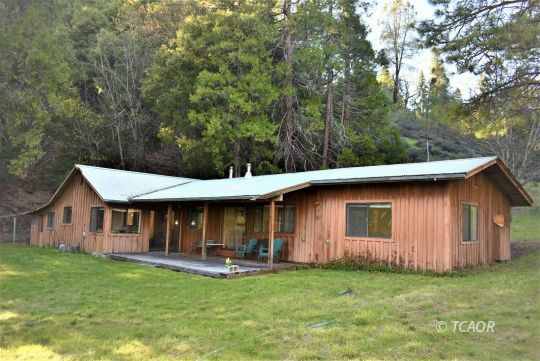 Not every home for sale in Trinity & Shasta County can be found on the Internet. Let our direct access to all the listings help you locate your dream home in the most efficient way possible. Relocating to Trinity County? If you are moving to this area, we can provide you with helpful information so that your move is as worry free as possible. Feel free to contact us for local information like the best schools and communities.